I had always wondered about the first name of George. 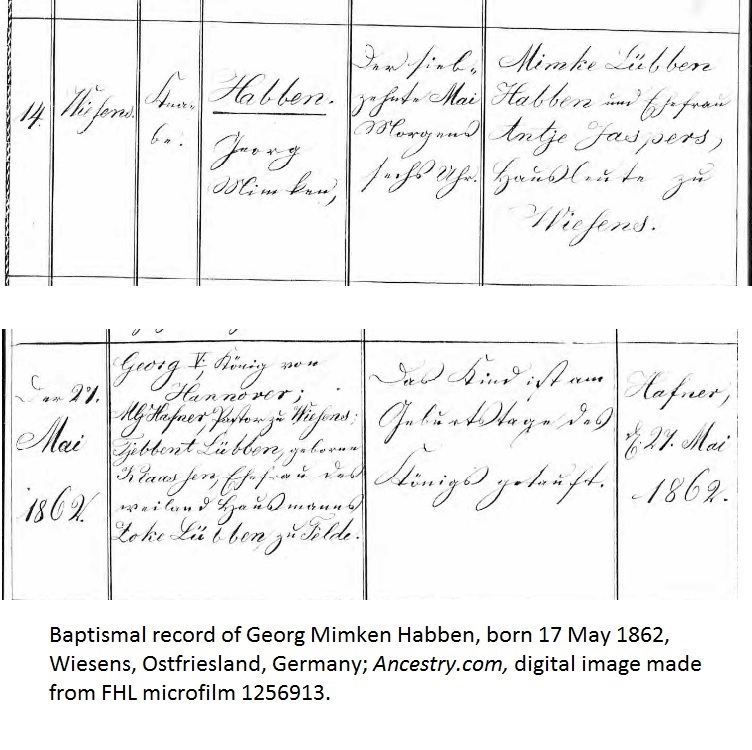 My Habben family was the only one of my Ostfriesen families to use the first name George. Other families had Gerd or Gerhard, but not George. For some reason the Habben family had used that non-Platt first name. There was a reason. The son of Mimke Luebben Habben and Antje Jaspers was named Georg Mimken Habben. And one of his Godparents was George V, King of Hannover. We’ll have an update with the likely reason in a future post. Note: This image is from “Germany, Lutheran Baptisms, Marriages, and Burials, 1519-1969,” as published on Ancestry.com. 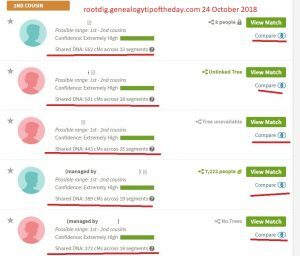 It has been slightly altered to accommodate this blog post. This entry was posted in Uncategorized and tagged George Mimken Habben. Bookmark the permalink.